Fall has arrived! I am pretty pumped for all things pumpkin and everything else that is super cliche that I totally get into. Southern California has not received the "lets have colder weather report" but I decided I was not going to let that ruin my fall fun. So to get everyone in my house in the spirit I made some freaking fantastic, frozen pumpkin pie bites. They were gone in a flash and so easy to make! 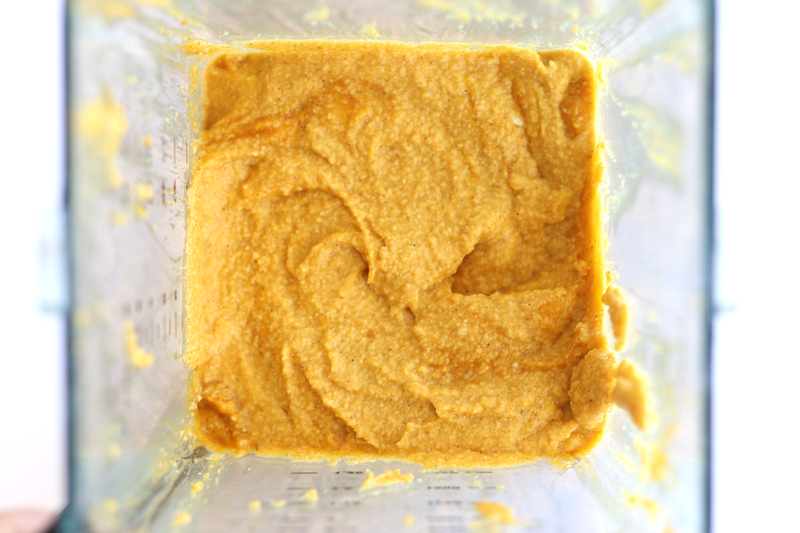 Place all of the ingredients for the crust in a food processor or high powered blender. Process until you have a sticky dough consistency. If you need to add a little more coconut oil to the crust do it at this point. Take a small amount of crust and roll it into a ball. Then place it on the bottom of your muffin tin and press down firmly so it holds together. Place in the freezer for about an hour or until they are set. These are a must make...don't even second guess! Please come back and let me know what you think if you end up trying them out! Oh YUM! Love this idea! Will be making soon for sure! yum!!!! making these this weekend. gotta soak up all the pumpkin recipes possible! these look awesome...can't wait to try! teeny, tiny typo! I think for the fist list of ingredients you mean " What you will need for the topping/filling", not crust. 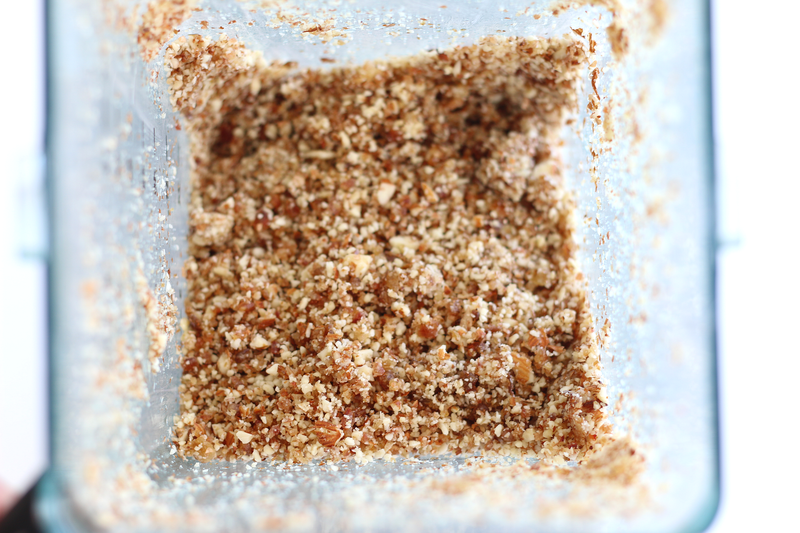 Question - I have been soaking my cashews for about 3 hours and something has come up and I won't be able to make this dessert until tomorrow night. Will my cashews be ruined if they soak all night and part of the day tomorrow? Christine- Nope! The dessert will be even yummier and creamier if you wait that long! This is a fantastic, easy, quick dessert that I will make again this season! Great for an impromptu party at my house this weekend, they were a big hit! 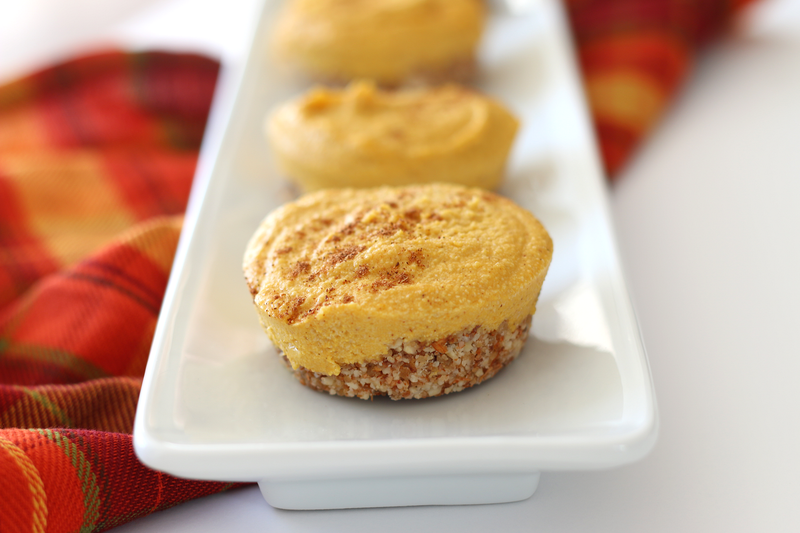 The pumpkin custard was AMAZING, I could see making it to eat just by itself in a pinch! Also, thought folks would be interested, I didn't have raw almonds, but instead I used a shy 2 cups of blanched almond flour and it worked perfect! Super Yum Alert!